“Ringling Bros. Presents Built To Amaze! 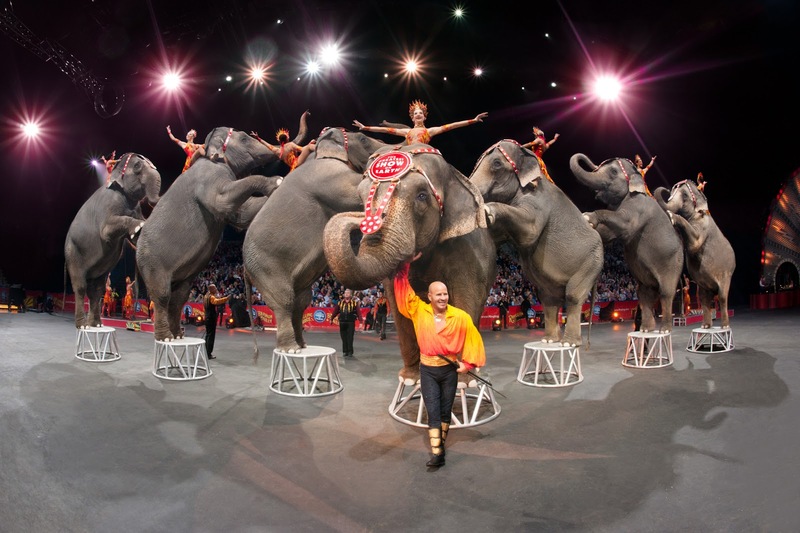 takes a child’s curiosity of how things all around us work by showcasing the very best performers from around the world, both human and animal,” says show producer, Nicole Feld, in a statement released by Ringling Bros. They promise that this show will bring the audience in attendance “..high-energy, high-jinx and hilarity.” Presented from 110 performers from around the world representing 17 countries and accompanied by 95 exotic and domestic animals. One of the thrilling displays will be between man and beast, as performer Tabayara is set to stand eye to eye and interact with 13 big cats inside the tiger arena as the large beast jump, roar, and dance, to keep audience members on the edge of their seats. There is also a mesmerizing “living carousel” between elephants and Arabian horses that synchronizes a wild rotation with aerialists suspended above the arena floor. In addition to the animal entertainment is a wide array of acrobats, daredevils, and entertaining clowns. All that this show offers makes the circus one of the most diverse experiences that can be witnessed by modern audiences. This and much more will make up an honored American entertainment tradition that started with the two groups first merged together back in 1919. This newest installment furthers the original train-traveling circus to reach a 90-city tour with stops across America and Mexico over the next two years. On average audiences for Ringling Bros. and Barnum & Bailey shows attract 30 million spectators every year bringing to them “riveting acts and astonishing animal presentations,” along the way. The show will come to Central Florida at the Amway Center in Orlando from Jan. 10 - 13. Tickets are on sale right now and more information can be found on their website at www.Ringling.com or by visiting their Facebook page.